From the studio that brought you Shrek, Kung Fu Panda and Madagascar, comes a hilarious family comedy told from the point of view of a delightfully unreliable narrator -- a wildly imaginative 7-year old named Tim. 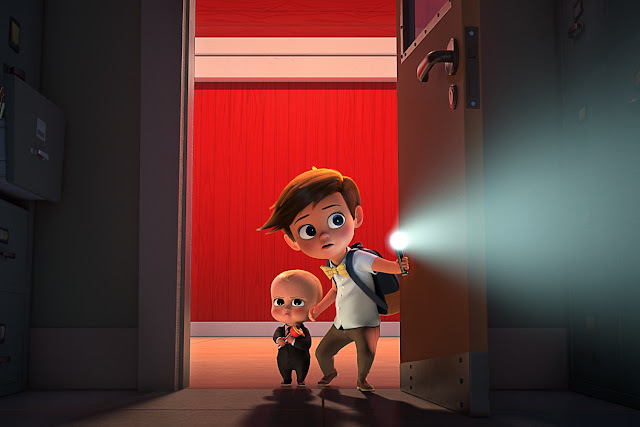 The most unusual Boss Baby arrives to Tim's home in a taxi, wearing a suit, carrying a briefcase and speaking with the voice and wit of Alec Baldwin. The sibling rivalry between the two brothers is reluctantly cast aside when Tim discovers that Boss Baby is actually a spy on a secret undercover mission, and only he can help. An outrageous adventure ensues as the pint-sized partners prepare to thwart a dastardly plot involving an epic battle between puppies and babies.